Young Orkney jewellery designer, Zoe Davidson, is set to launch a striking new collection inspired by the sea-carved shoreline formations of her island homeland. The Spring Tides range, handcrafted in silver, combines Zoe’s signature fold-formed metalwork with contrasting gemstones, accents of gold and bold patina treatments. 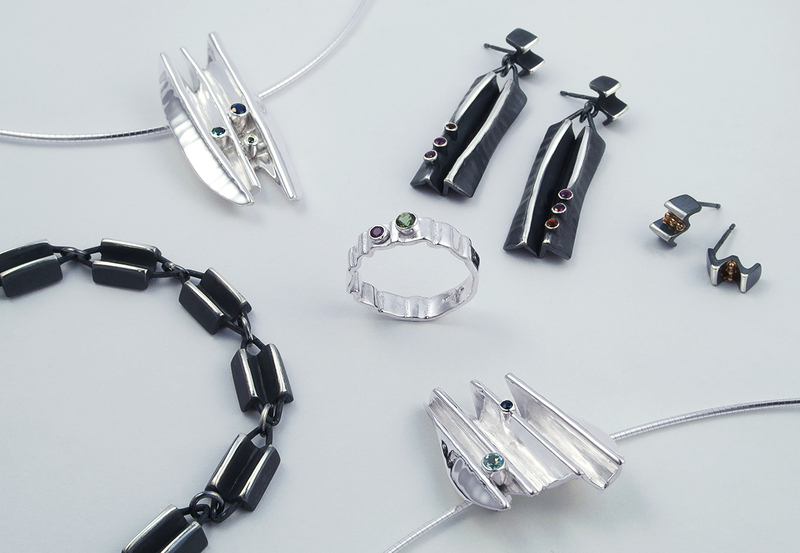 Previewing at this weekend’s Scotland’s Trade Fairevent in Glasgow, the new collection initially consists of pendants, earrings, bracelets and rings. Twenty-seven-year-old Zoe, who started her Stromness-based jewellery business in 2016, said: “Orkney, the ocean and the local coastline, are a constant inspiration for me. The Spring Tides collection came about when exploring all the sculptural shoreline formations and rock fractures that are created by the sea around the islands here.